Dec 24th - Festivus NW Party! 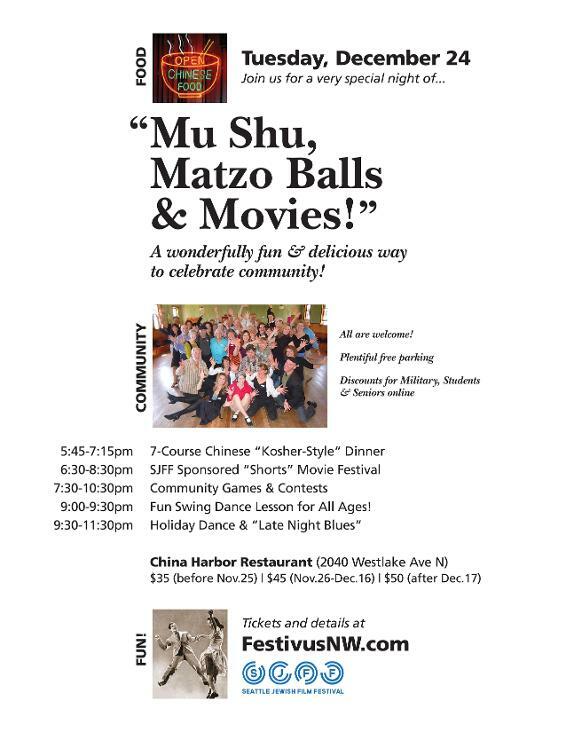 "Mu Shu, Matzo Balls, Movies & Dance"
with a special Holiday Dance & Late Night Blues! *PLEASE NOTE: Prices and Early-Bird Dates seen on the poster below have been updated (cheaper and later). See www.FestivusNW.com for latest updates.